Find out what common problems house call dentistry addresses and eradicates amongst homebound elderly. While in past decades, the homebound elderly have simply had to resign themselves to chronic oral pain and poor dental health for lack of available care options, recent years have seen the development of a much needed solution to this problem – home dental care for seniors. Immobility – Many elderly have reached the point in their health where they are no longer able to move or be moved without it requiring great effort. They have been resigned to a bed and often unable to leave their home. This obviously proves difficult for medical checkups and appointments; particularly concerning dental needs, as this has often been a need that is pushed aside for lack of available care options. 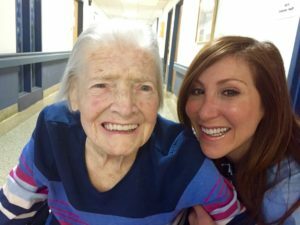 Home dental care for seniors addresses the issue of mobility directly by bringing the qualified geriatric dentist right to the bedside of the elderly individual in need. With house call dentistry now an attainable option, caregivers no longer have to labor through an intense transportation process to receive a simple dental checkup or procedure, nor do the elderly have to live with chronic tooth pain from lack of proper dental care. Wheelchair Bound – Some elderly may not be completely confined to their bed, but they must rely on a wheelchair for any time spent out of their bed. This proves difficult for traditional dental exams as dentists are often only setup to treat patients in their designated dental exam chairs. Homebound dental care provides the answer to this difficulty as well; house call dentists will treat their patient in any chair or area desired. Dementia Related Issues – Dementia is not only a heartbreaking disease to watch your loved one experience, but it is also a difficult one to navigate. Dementia patients can often become agitated and anxious when situations are not familiar or produce added stress. Going to an unfamiliar dental office with strange faces and stiff accommodations often produces too much stress. A dentist that provides home dental care for seniors is a welcome solution for caregivers and loved ones of those suffering from dementia. Patients are able to be treated in the comfort of their own home, seated on a favorite chair or in their own bed. So you may be wondering where you can find a dentist around New York City that can provide house call dentistry services? If you live in the Manhattan area, you have access to one of the nation’s best house call dentists – Dr. Alisa Kauffman of Geriatric House Call Dentistry. As one of the first leaders in house call dentistry, Dr. Kauffman has been providing these convenient and necessary services to the homebound elderly for over 30 years. She services the entire Manhattan area with extensive geriatric dental experience and deep compassion. Call today to find out more about her home dental care for seniors. Dental care is very important for Geriatric patients and should never be neglected, no matter their mobility. Now you can ensure your loved one or patient can receive the dental care they need! Not many dental students (or even seasoned dentists) choose this one distinctive branch of dentistry: Geriatric Dentistry. Geriatric dentistry is sometimes falsely seen as a less important specialty; that other dental specialities should take precedence. 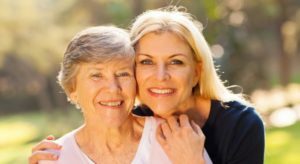 Yet as a caretaker of a loved one, or a physician who treats elderly patients, you know that there is ample need for good geriatric dental care. The fact is that the elderly population of this country is increasing. There is much more demand for a significant amount of the dental workforce to focus its energy on treating elderly patients. And the best house call dentist Manhattan trusts has experienced this truth first-hand for years. Why Use The Services Of A House Call Dentist? There are a few unique aspects of dental care that need to be considered when it comes to elderly patients. The most important consideration is access. Under the umbrella of access it is essential to focus on obtaining affordable care for the patient, working with the mobility of the patient, and effective communication between staff and patients. Access to dental care is especially important for geriatric patients because of their susceptibility to age-related sickness which is greatly affected by oral health. And the most effective solution to problems with access for the elderly is the best house call dentist Manhattan can offer. House calls, whether to individual homes or nursing homes, greatly increase treatment availability and therefore the health of the elderly population. If you or a loved one are in need of a dentist who understands the complexities of Geriatric Dentistry, then you will be happy to know that Dr. Alisa Kauffman is here for you. Dr. Kauffman offers a range of dental services including exams, denture work, emergency visits, and much more! Dr. Kauffman has been focusing exclusively on Geriatric Dentistry for 21 years now. She is the Director of Dental Care at 3 local nursing homes and on staff at Lenox Hill North Shore LIJ and Mt. Sinai Hospitals in New York City. You can trust the work of the best house call dentist Manhattan can recommend. You’ll be sure to get the care you need from the best home care dentist in Manhattan!